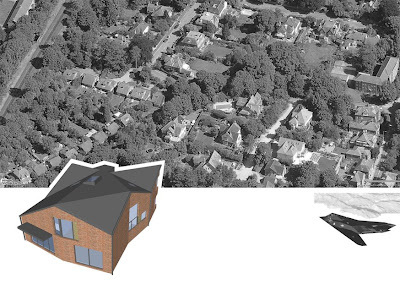 We are pleased to announce that we have now submitted the ‘Stealth House’ for planning at Winchester City Council. The contemporary scheme is a replacement dwelling to provide a new family home in St Cross, Winchester. The design has developed from tight physical constraints where all of the available volume is efficiently used to create exciting spaces for modern living. The Stealth House has a continuous undulating eaves and sense of solidity and permanence that comes from the deep recessed windows punched into the brickwork. Internally the heart of the house is flooded with light from above and the living spaces enjoy a strong relationship with the garden. You are currently browsing the Snug Architects blog archives for March, 2008.